As soon as you arrive somewhere in this area, all tourist agencies or hotels are welcoming you. As I didn’t want to end up on my own, I just ask 2 foreigners if the found a place to stay. 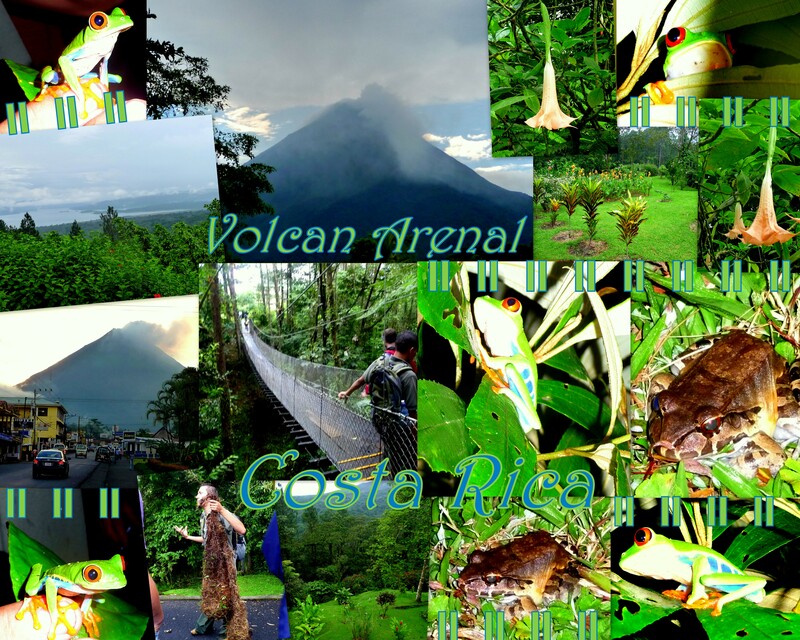 We went together to visit 1 hostel, really basic but with a wonderfull view on the Arenal Volcano! I shared the room for 6 dollars with a friendly canadian & danish guy. I won’t recommend the Red Lava agency who brought us there – really good for convincing & selling their products but not really good regarding the service! I booked a lava tour through them, visiting the national park – beautifull but really short time there, pity! Better to go on your own with a local bus as you get a map at the entrance & treks are well indicated. Still we could see some animals – as the beautiful rana frog - and discover some plants but no lava as the volcano is not really active at the time! Sustainable tourism is not really respected with them… How many plants will die after the passage of all this tourists group!!! houla!! toi je sais où tu as bossé il y a qq années…”Save the Planet” et tout et tout. Non, mais je rigole: très bien de rappeler le rôle que peuvent jouer les touristes pour soutenir chaque pays à préserver leurs richesses. C kwa toutes ces grenouilles ?? ?